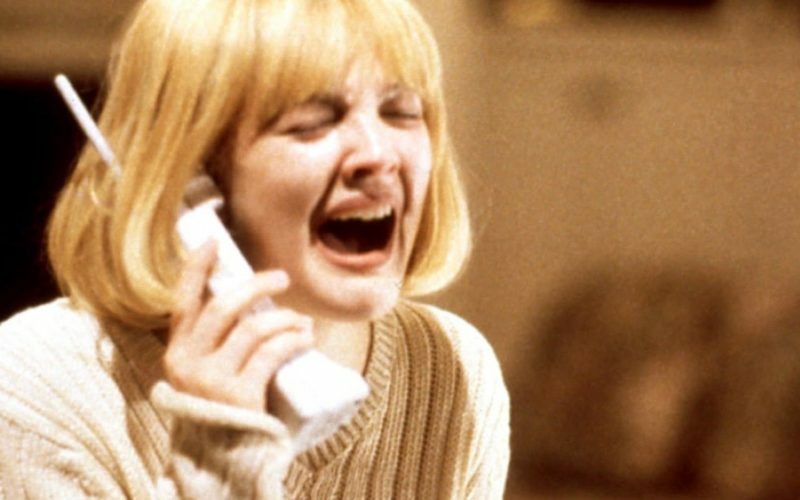 Scream redefined the slasher genre by poking fun at it and in turn, became the defining horror film for an entire generation of people. 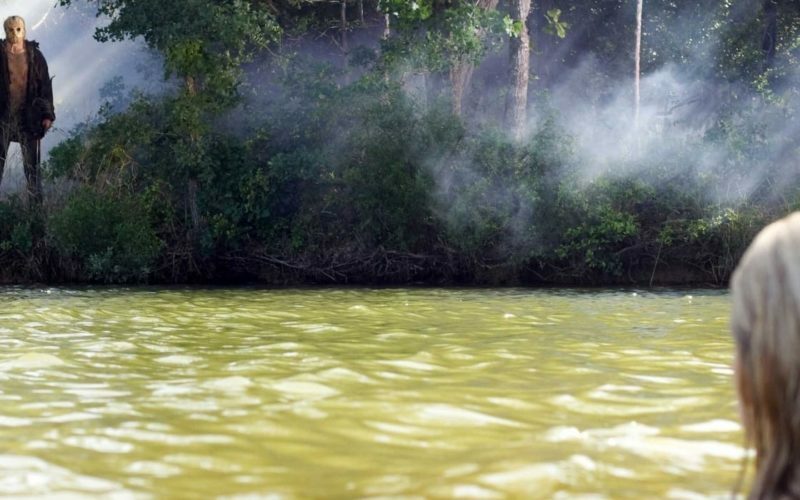 Friday the 13th is a reboot/sequel. It has the same title as the original, however, serves more as a follow up to Mrs. Voorhees’ killing spree. It shows a brief recreation of the events that happen in the original Friday the 13th to introduce Jason’s mother to a new generation. This is origin of our new Jason. This is the genesis of the hockey mask. We are supposed to forget that he ever went hell, or into space, or fought Freddy Krueger. This is a clean slate for the stalker of Crystal Lake. Friday the 13th is a pretty predictable slasher horror movie. It doesn’t give us anything new, just updated. Instead of killing young adults of the 80’s, we are now killing millennials (which might appeal to some). It is good to see Jason run after his victims. No more silent walks through the woods. It is much more difficult to escape a fast, ax-throwing Jason. I appreciate the reboot sticking to what makes Jason “Jason”, although I had hoped for more of a reimagining of the character and the plot. For someone who has never seen a Friday the 13th movie before, this is a good introduction to the franchise. For those of us who have seen the other 11 movies, this feels a bit of a retread. Garrett and Carson hope to get more treats than tricks with the latest Halloween movie. In Friday the 13th Part II we finally get to see Jason Voorhees as the killer! But it is not the Jason we all know and have grown to love. When considering counterparts such as Freddy Krueger, Michael Myers or even Chucky, Jason has evolved and improved the most over the years. Some would argue that Freddy, Michael, and Chucky peaked in their first appearance and have never reached that sort of greatness since. Not Jason. He takes a lot of time to achieve his iconic status. 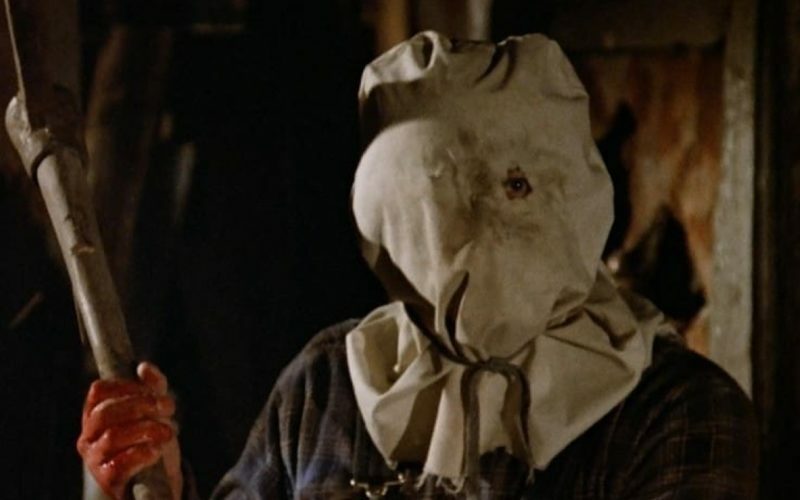 Jason was a child and only had a brief cameo in the first Friday the 13th. In Part II, he is a goofy hillbilly in overalls, a plaid shirt, and a pillowcase over his head. A far cry from terrifying. Friday the 13th Part II establishes the premise for the entire franchise. Not only do you not go to Camp Crystal Lake, you don’t go anywhere near Crystal Lake at all or Jason will get you! If you think of Part II as Jason’s rookie year into killing, a lot of this movie can be excused. He is just trying to figure out what works and what doesn’t. For instance, don’t try to stand on a rickety old wooden chair if you want the element of surprise. Because it will break, you will fall, and lose all credibility as a viable scary movie threat in the future. Also a pillowcase over your head isn’t intimidating at all. Perhaps next time go for a hockey mask. Jason was always my favorite of the “slasher killers” when I was growing up. With him on the sidelines, it did not encourage me to ever re-watch the original Friday the 13th. It has been at least 25 years since I had seen it. Beyond the the major plot points that you are reminded of throughout each movie of the series, it is safe to say that I remembered next to nothing. For instance, I had no idea a young Kevin Bacon was one of the camp counselors. I had also thought the “Jason Sound” was only for him, not the entire Voorhees family. Friday the 13th is pretty low on the scare meter due to two factors. First, is that each kill is almost entirely shown from the killer’s first person perspective. This is supposed to create some tension by keeping the killer’s identity a secret, however, it comes across more hokey than scary. The other factor that detracts from investing the audience into the movie, is that the victims do not know they are being hunted until it is too late. You cannot live vicariously through their terror. Most good horror movies have a shared experience with the audience as they are looking over their shoulders while they try to escape with their lives. In Friday the 13th, the counselors go from happy-go-lucky to dead. 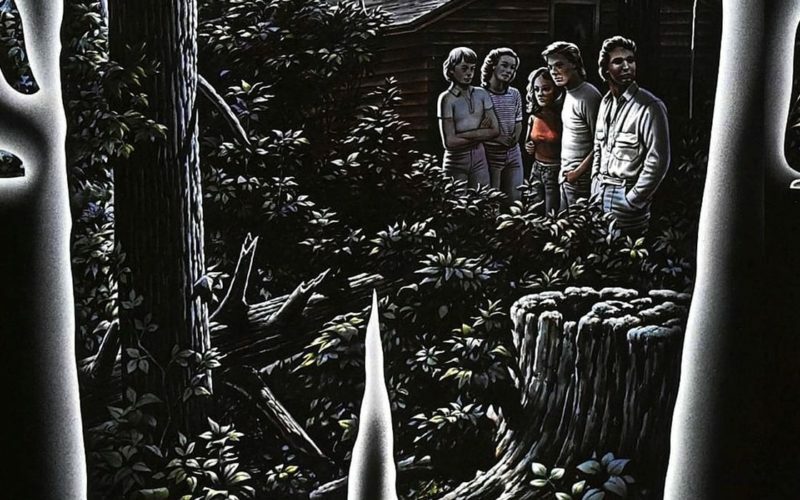 The original Friday the 13th should be seen merely from a horror-movie-pop-culture perspective. See it so you can check it off your bucket list… before you get hit in the face with an ax! A quick, decently fun genre mash-up that has been done better by films that came before it and after it. I don’t know how The Thing slipped through cracks of my childhood, but it is a very good horror movie. Maybe it was the uninspired and generic title that didn’t appeal to me. Maybe it was John Carpenter’s run of Escape from L.A., Vampires, and The Ghosts of Mars from ’96 to ’01 that kept me from exploring more of his earlier work. Whatever it was, I was missing out. Everything from the practical effects of the creatures to the simple (but often hard to pull off) theme of “anyone could be the enemy” were done so perfectly. My expectations were low, but I was impressed. 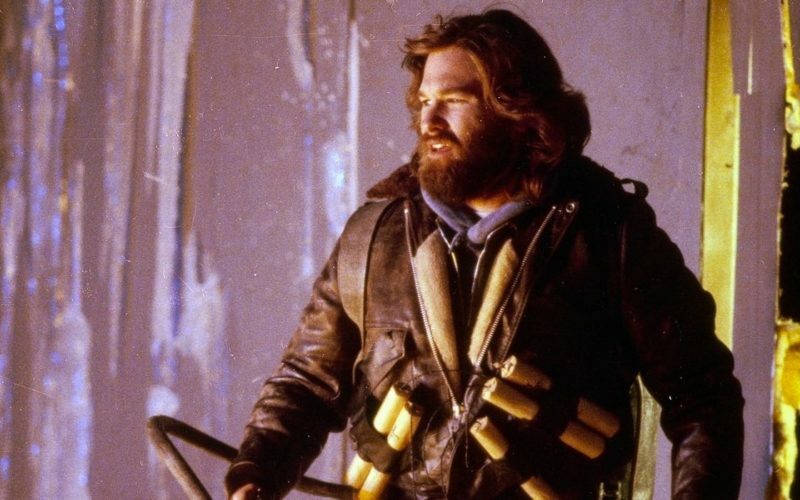 The Thing has solidified its place in my October annual horror-movie-month-marathon. Sometimes the central plot of a film is strong enough that it can overcome a low budget and sub-par acting. Cube is an excellent example of this. Filmed in what feels like — at most — 2 rooms and with a cast of unknowns, Cube literally drops the characters and audience directly into the mystery. The film takes clear inspiration from The Twilight Zone and specifically the episode “Five Characters in Search of an Exit.” Unlike most Twilight Zone rip-offs or homages though, Cube manages to take the core idea from the original and expand upon it in different and unique ways. Cube is a small, tense thriller that slowly unravels in twists and turns with every new room the characters explore inside the enormous, come-to-life J.J. Abrams Mystery Box ™. At its heart, it is a brain teaser. It’s smartly executed in a manner that keeps the audience guessing along with the characters. As it progresses, it manages to develop tension alongside its mystery and keeps the audience engaged until the very last frame. Anyone familiar with Twilight Zone episodes will understand that the endings can be hit and miss. With Cube taking so much inspiration from the show, it’s understandable that it would have the same divisive ending. Regardless of the film’s resolution, it is a testament to the idea that great storytelling can overcome everything — from bad acting to a small budget. But whoever had the idea that the characters should talk with buttons in their mouths for half of the movie should have been blacklisted. 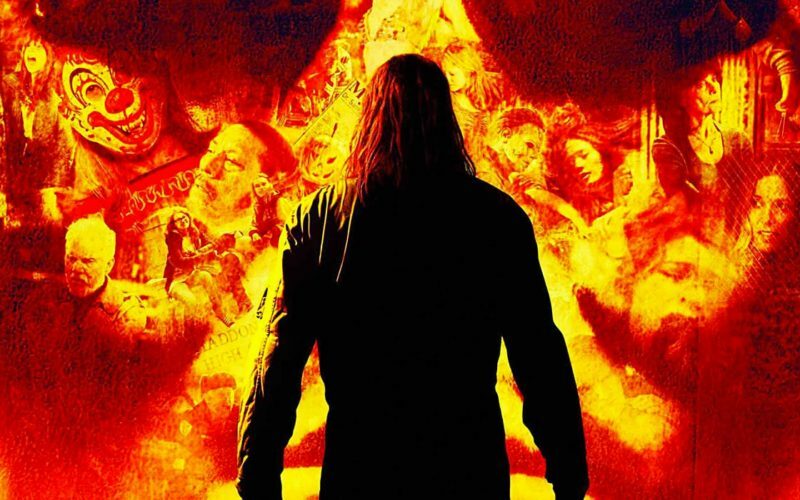 Rob Zombie’s Halloween reboot does a lot of things right, and a few things really wrong. The first thing it does right is the casting of the 6 foot 8 inch Tyler Mane as Michael Myers. A man of intimidating stature makes Michael’s strength believable as he squeezes the life out of teenagers. One thing it does wrong, is that it takes far too long to get to Tyler Mane’s Michael. It spends the majority of the movie on “Young Michael”. By the time you get to the adult version, it makes the movie feel like it is 3 hours long. I am all for a good origin story. Halloween has all the right ideas of how to make creepy kid Michael into a psychopath, but it misses the mark in a very important way. It makes Michael Myers sympathetic. That he was just a product of his environment and circumstance. You are rooting for him to kill those that “deserve it”. Then later, the psychologist tries to explain how Michael is and has always been just pure evil. The two concepts do not mesh well. Halloween is not a very scary movie. I think partially due to the humanization of Michael Myers. 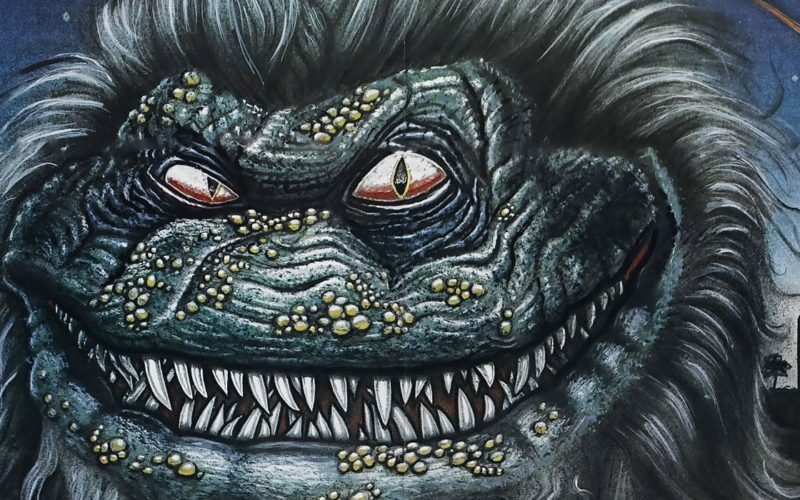 He seems far less frightening when you feel sorry for him. 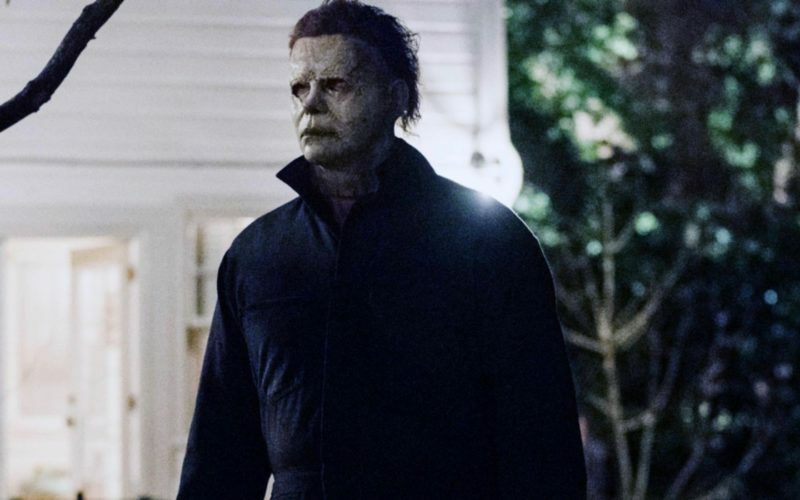 I am looking forward to what Rob Zombie does in his version of Halloween II that he can devote entirely to adult Michael. 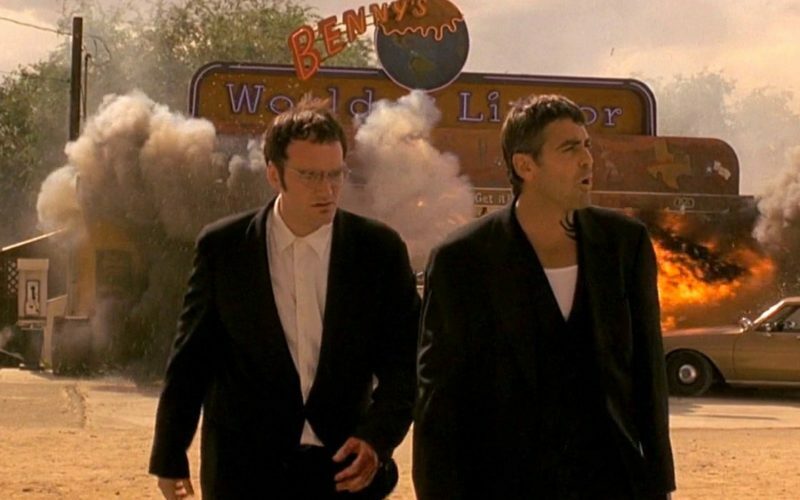 From Dusk Till Dawn is one of the most underrated movies of the ‘90s. Robert Rodriguez brilliantly combines two ideas that each could have each been their own stand alone movie. The first 2/3rds of the movie introduces us to Seth and Richard Gecko (Clooney and Tarantino). They are two brothers who are bank robbers and on the run from the Texas Rangers and the FBI. They kidnap an ex-preacher (Harvey Keitel) and his family to help them get across the border into Mexico. The last third of the movie is where this this movie takes a very different twist into the horror genre. This is by far the best George Clooney role that I have ever seen. He is excellent as Seth Gecko. The weird dynamic between the brothers is done very well. For Tarantino being such a poor actor, he plays a sleazebag perfectly. I also cannot say enough good things about how Clooney and Keitel worked together in every scene. The entire movie could have just been those two in a room going back and forth at one another and I would have loved it. Salma is worth a full star rating bump up all on her own. From Dusk Till Dawn is not a scary movie. It is not creepy. There are no “jump scares”. It will not give you nightmares or make you afraid to walk around your house in the dark. It is an action movie. This fits into the horror genre only due to subject matter.